1. Go to the 4 second mark in this video then pause it. A United Nations panel looking into the Saudi-led bombing campaign in Yemen ​recently ​concluded that there had been “widespread and systemic” attacks on civilian targets, which violated international humanitarian law. In response, investigations have been called for, lobbying groups are now pressuring the British government to stop buying weapons from the Kingdom, and the European Parliament has called for an arms embargo. From the howler at this morning's Telegraph penned by Saudi Arabia's Ambassador to Britain, titled Saudi Arabia is bombing in Yemen to bring peace and stability. Somebody at the Telegraph editorial desk started the day with beer. Good for him. Or her. Syria's Foreign Ministry is harshly criticizing Saudi Foreign Minister Adel al-Jubeir, saying his recent statements demonstrate the kingdom's "destructive role" in Syria. Monday's statement came a day after al-Jubeir reiterated Saudi Arabia's longstanding position that Syrian President Bashar Assad has no place in the future of Syria and that he must leave power, either peacefully or through military means. The Syrian Foreign Ministry statement said al-Jubeir's comments are an attempt to damage a truce brokered by Russia and the U.S. that went into effect Friday at midnight. It added that al-Jubeir's comments are "lies meant to boost the morale" of Saudi-backed militants who have suffered setbacks in recent weeks in different parts of Syria thanks to intense Russian airstrikes. U.N. Secretary-General Ban Ki-moon says a cessation of hostilities in Syria is holding "by and large" and wants it extended beyond the initial planned duration of two weeks. Speaking to reporters Monday in Geneva, Ban confirmed receiving a letter from the High Negotiations Committee, the main umbrella opposition group. It urged the U.N. to help "specify the territory covered by the truce to prevent hostilities in the designated inclusion zones." Both Russia, a key ally of Syrian President Bashar Assad which has been conducting air strikes over Syria, and the so-called "moderate opposition — excluding U.N.-designated terror groups like the Islamic State group — have pointed to repeated violations of the cessation of hostilities since it took effect Friday at midnight. The office of the U.N. human rights chief says thousands of people risk starving to death in besieged Syrian towns and villages that are inaccessible to humanitarian aid groups. Zeid Raad al-Hussein told the opening session of the Human Rights Council in Geneva that some 450,000 people are now trapped in besieged towns and villages in Syria — some for years — and aid deliveries of food, medicine and other aid has been "repeatedly obstructed." During his address, al-Hussein said "thousands of people may have starved to death" — but his office issued a statement shortly afterward indicating that he meant to say "thousands risk starving to death." Al-Hussein also decried that at least 10 hospitals and other medical sites had been damaged or destroyed by strikes in Syria this year. The United Nations says it plans to deliver life-saving humanitarian assistance to about 154,000 people living in besieged locations inside Syria over the next five days. A briefing note sent out by OCHA Monday says the assistance will include food, water and sanitation supplies, as well as non-food items and medicine to people trapped in besieged areas. It called on all parties to ensure unconditional, unimpeded and sustained access to all 4.6 million people in hard-to-reach or besieged locations across Syria. The U.N. estimates that close to half a million people in Syria are trapped in areas under blockade across the war-ravaged country. Aid deliveries are a main opposition demand ahead of the planned resumption of Syrian peace talks in Geneva on March 7. The French foreign minister is calling for a meeting "without delay" of a task force to monitor a cessation of hostilities in Syria following reports of air strikes targeting the moderate opposition. Jean-Marc Ayrault made the comments Monday shortly before addressing a meeting of the Human Rights Council in Geneva. U.N. special envoy for Syria Staffan de Mistura has already been planning a meeting of the task force, led by the United States and Russia, later in the day. Ayrault told reporters he planned to discuss the "attacks including by air" with de Mistura and U.N. Secretary-General Ban Ki-moon. Critics say Russia and Syrian forces have been targeting the moderate opposition. The cessation of hostilities has largely held despite violations by both sides since it went into effect Friday at midnight. The Latest: UN envoy says Syria ceasefire is "reassuring"
The Islamic State group has claimed responsibility for a suicide truck bombing in central Syria. The IS-affiliated Aamaq news agency says the suicide bomber targeted a military post near the town of Salamiyeh. Syrian state media said two people were killed in the blast, while an opposition group that monitors the conflict said three were killed. The blast rocked the area hours after a cease-fire engineered by Russia and the U.S. took hold across Syria. The cease-fire excludes the Islamic State group and al-Qaida’s branch in Syria, the Nusra Front. Under the U.S.-Russian accord accepted by President Bashar al-Assad's government and many of his foes, fighting should cease so aid can reach civilians and talks can open to end a war that has killed more than 250,000 people and made 11 million homeless. It's 90 minutes before the "cessation of hostilities" goes into effect in Syria. Haven't gotten much sleep in the past few days. So much is riding on what happens in 90 minutes, so much. If you can spare a prayer for Syrians, now is the time. A few minutes ago I found myself humming "Brother Brother," recorded by the Isley Brothers in 1972; I went to YouTube to listen. I was surprised to learn from the comment section that the song had been written and recorded by Carole King (in 1971) as a tribute to her severely disabled brother; in the commenter's opinion it was even more beautiful than the version sung by the Isley Brothers (who are actual brothers). In straightforward prose, King tells the story of Carol Klein, the daughter of Eastern European Jewish immigrants in Brooklyn. Her educated and artistically inclined mother and firefighting father gave her confidence in her early years. Things started to go wrong when her younger brother Richard was diagnosed as profoundly deaf and “severely retarded” in 1951 and placed in “a facility suitable for his needs”. "Syria war rages hours before deal to halt fighting"
(BEIRUT) Heavy air strikes were reported to have hit rebel-held areas to the east of Damascus as fighting continued across much of western Syria on Friday, hours before a U.S.-Russian plan aimed at halting the fighting is due to take effect. The Syrian Observatory for Human Rights monitoring organization reported at least 10 air raids and artillery shelling targeting the town of Douma in rebel-held Eastern Ghouta near Damascus. Rescue workers in the opposition-held area, reporting on their Twitter feed, said there were confirmed civilian casualties but did not say how many. Syrian military officials could not immediately be reached for comment. The "cessation of hostilities" agreement is due to take effect at midnight (5 p.m. ET on Friday). The government has agreed to the plan. The main opposition alliance, which has deep reservations about the terms, has said it is ready for a two-week truce to test the intentions of the government and its Russian and Iranian backers. Damascus has made clear it will continue to target Islamic State and the al Qaeda-linked Nusra Front which are not included in the agreement. The opposition fears the government will continue targeting rebels on the pretext they are jihadists. The government says the agreement could fail if foreign states supply rebels with weapons or insurgents use the truce to rearm. Eastern Ghouta is regularly targeted by the Syrian army and its allies. It is a stronghold of the Jaish al-Islam rebel group, which is represented in the main opposition alliance, and has been used as a launchpad for rocket and mortar attacks on Damascus. U.S. President Barack Obama said on Thursday the United States was resolved to try to make the deal work but that "there are plenty of reasons for scepticism". On Thursday evening, the Syrian Arab Army’s 103rd Brigade – backed by the Syrian Marines, Liwaa Suqour Al-Sahra (Desert Hawks Brigade), the National Defense Forces (NDF), and the Syrian Social Nationalist Party (SSNP) – finally reached the last peaks before the Jabal Al-Akrad (Kurdish Mountains) border-crossing into Turkey. The Syrian Armed Forces advanced to the last villages on the border, staking their positions for the final assault to seize the ‘Ayn Al-Bayda and several other sites that provide access into Turkey. Now, just 3 km south of the Turkish border with Jabal Al-Akrad, the Syrian Armed Forces prepare for what will ultimately be the final assault before completely seizing the Latakia crossings. "With practice, Silbo Gomero whistlers can convey any message." Doudou N'Diaye Rose often recalled this early period of his life, when he learned that the tapping of the drums was a surefire method of communication between villages. Drums were played at marriages, baptisms, naming and circumcision ceremonies and other social gatherings. Description: The whistled language of La Gomera Island in the Canaries, the Silbo Gomero, replicates the islanders' habitual language (Castilian Spanish) with whistling. Handed down over centuries from master to pupil, it is the only whistled language in the world that is fully developed and practised by a large community (more than 22,000 inhabitants). With practice, whistlers can convey any message. Some local variations even point to their origin. Taught in schools since 1999, the Silbo Gomero is understood by almost all islanders and practised by the vast majority, particularly the elderly and the young. It is also used during festivities and ceremonies, including religious occasions. Each of the three provides devastating revelations but taken together the effect is scorched earth. Technically the writings are opinion although Kennedy recounts so much history that much of his piece can be considered reportage. The other two also report established facts, all known to Washington insiders and those well informed on the Syrian War and modern Syria's political history. That excludes the majority of the American electorate, which is in store for many surprises in the writings. Americans who approach a reading 'cold' and who've accepted the mainstream media's narrative about the Syria will be shocked; I think many will say this keeps happening with our government and that it has to be stopped. Americans are said to be ignorant of the world. We are, but so are people in other countries. If people in Bhutan or Bolivia misunderstand Syria, however, that has no real effect. Our ignorance is more dangerous, because we act on it. The United States has the power to decree the death of nations. It can do so with popular support because many Americans — and many journalists — are content with the official story. In Syria, it is: “Fight Assad, Russia, and Iran! Join with our Turkish, Saudi, and Kurdish friends to support peace!” This is appallingly distant from reality. It is also likely to prolong the war and condemn more Syrians to suffering and death. I have minor quibbles with each of the three writings but none involve politics. I think it's obvious that politics prompted Sachs and Kennedy to decide to tell what they knew at this time in the presidential campaign. I don't criticize their motivations; I just wish they'd decided earlier to sing like a bird, but better late than never. 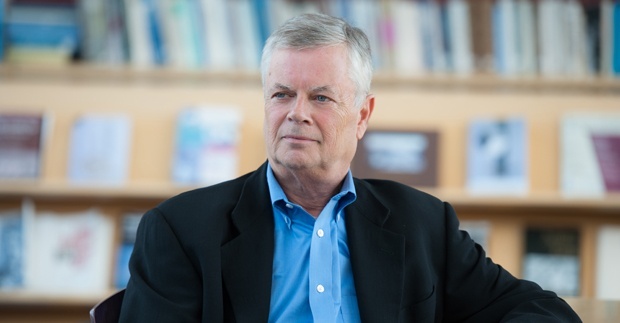 Stephen Kinzer brings tremendous experience in the journalism profession to his discussion. He criticizes the profession as an insider. From his brief bio at Brown University's Political Review, which interviewed him in December 2015, he served as the chief of the New York Times bureau in Istanbul, Turkey from 1996-2000. From the Boston Globe bio: he's reported from more than 50 countries on five continents. His articles and books have led the Washington Post to place him “among the best in popular foreign policy storytelling.” He was Latin America correspondent for The Boston Globe, and then spent more than 20 years working for the New York Times, with extended postings in Nicaragua, Germany, and Turkey. My caution about Kinzer's op-ed and Sachs' is that they make a remark that could lead the reader to assume Israel's government has wanted Bashar al-Assad deposed. The assumption would be completely untrue; in fact it's been just the opposite. Jerusalem has longstanding issues with Syria's government but the Israeli position on Assad has consistently been, Better the devil you know, and what do you want to replace him with? That last producing no coherent answer from Washington or any anti-Assad power -- for years! And remember that Israel's military was one of only three (the other two Germany and Russia's) that the U.S. Joint Chiefs trusted to pass vital intelligence to Assad and the Syrian military about terrorist activity in the country. I have misplaced the link and cannot recall the name of the source document, but there is another version of what happened in Aleppo. According to a report I read months ago, Turkey's military carried out the operation themselves or hired goons or mercenary fighters to loot the factories in Aleppo and truck the stolen equipment to Turkey, as well as destroy the factories. The motive wasn't to force factory workers into joining the mercenaries; it was to destroy as much of the country's industrial base as possible, and that was why the mercenaries made a beeline for Aleppo. If all this sounds familiar to readers who follow the Afghan War -- yes, Pakistan's military did the same thing in Kabul after the Taliban came into power; they used Pakistani 'mafias' for the op. I recall a Pakistani journalist, Ahmed Rashid, recounting that they even stole all the telephone poles, would you believe. Yup, dug 'em and sold them as treated lumber. They picked the city clean of everything that could be sold. Moving along, the account I cite doesn't mean the version Kinzer presented is wrong, but I wanted to mention the other one. I have only skimmed Kennedy's article; I plan to go over it with a fine tooth comb this weekend. My glance didn't turn up any errors. I did note a key assumption I would question and a glaring contradiction -- that last being the title of the piece: "Why Arabs don't want us in Syria." For crying out loud, Kennedy practically hits the reader on the head with information that ".. the Sunni kingdoms with vast petrodollars at stake wanted a much deeper involvement from America" in Syria. It's famously known that the Arab 'Gulfies' have been upset with Obama because he wouldn't get Americans directly involved in Syria. So it's not that Arabs don't want us in Syria; they want Americans there, all right, as long as we do exactly what they say. As to the assumption in Kennedy's writing -- I am sensing a disturbance in the Force. Is it me, or is information about Gulf Arab oil and gas pipeline designs on Syria suddenly popping up everywhere? I'm trying to recall who started this ball of yarn rolling -- was it a Russian website or Voltaire Network or somewhere else? I can't remember. Anyhow, I am not entirely persuaded that pipeline machinations are what precipitated the operation in early 2011 to remove Assad under the guise of a cooked-up insurgency. I want to keep the question open for now. But if Obama's people have decided to (metaphorically) throw Al-Saud and Al-Thani under the bus, I'm thinking it couldn't happen to more deserving people. All right. You have a lot of reading ahead of you if all three writings are news to you. Below is Stephen Kinzer's op-ed, which most Pundita readers -- those closely following the war -- have probably seen by now; featuring it here is my way of thanking him and the Boston Globe from the bottom of my heart. Government-held Aleppo was under siege from jihadi forces until late last year. That was never reported. Now the areas of Aleppo held by the rebels are coming under siege. That is reported in the western press as a catastrophe, and has brought a concerned response from the British Foreign Secretary. In short it isn't only the American news media that can't tell the difference between down and up when it comes to reporting on Syria. Kinzer thinks that much of the problem comes down to money. That's a part of it, but I note that this same financially strapped international mainstream news media managed to scare up sufficient funds to provide saturation coverage of the Arab Spring in 2011. That the coverage was very misleading and suppressed critically important information in the zeal to put the best face on the uprisings -- was that a money problem or a propaganda problem? Many news reports suggest that Aleppo has been a “liberated zone” for three years but is now being pulled back into misery. Washington-based reporters tell us that one potent force in Syria, al-Nusra, is made up of “rebels” or “moderates,” not that it is the local al-Qaeda franchise. Saudi Arabia is portrayed as aiding freedom fighters when in fact it is a prime sponsor of ISIS. Turkey has for years been running a “rat line” for foreign fighters wanting to join terror groups in Syria, but because the United States wants to stay on Turkey’s good side, we hear little about it. "Our economy is really struggling, and yet some leaders come out and say things that could get us caught up in a war in Syria against Russia,” said a prominent Saudi political observer who is close to senior officials. He was referring to Russia’s intervention late last year in the Syrian conflict to boost Assad, its ally, a move that has changed the tide of a civil war that has killed more than 250,000 people and displaced millions. The Saudi armed forces appear bogged down in Yemen against Iranian-aligned rebels in a drawn-out war that appears to be spilling over into the kingdom. Increasingly the rebels, known as Houthis, have been mounting assaults into southern Saudi Arabia, forcing the kingdom to deploy tens of thousands of troops to defend its border. His concern reflects broader questions in some Saudi circles over the country’s 30-year-old defense minister and deputy crown prince, Mohammed bin Salman, the son of King Salman and second in line to the throne. Some say MbS (well that's what he's called in KSA) wants to be first in line Pundita don't cackle. [looking at a calendar] Reportedly there's supposed to be some kind of coup this month in the kingdom, which doesn't leave much time but we'll just have to see what if anything happens next. Any more bright ideas, Dr Kissinger? Quite a number of governments including the American are now alarmed about China's idea of peaceful rising, the latest cause for concern satellite imagery that seems to show radar facilities being installed on some artificial islands the PLA has built in the Spratleys. Actually radar is a good idea because it can spot killer shrimps stalking unsuspecting Filipino fishermen. It's a little late in day to be alarmed about China but the eerie part about its unsettling rise is that every treachery in its foreign relations its rulers copied from the way post-WW2 American administrations conducted their own foreign relations. There is one American tactic they never copied, though. They don't give away the store, which is what Richard Nixon and Henry Kissinger did. Here (thanks to Madhu) a short walk down the memory lane called Nightmare. The collection opens up with State Department documents illustrating one of the adverse consequences of Kissinger's secret visit in July 1971. In their quest for rapprochement with Beijing, Nixon and Kissinger had taken Japan by surprise--there had been no attempt at advance notice, despite previous understandings that Washington and Tokyo would coordinate any decisions on innovations in China policy. With the U.S. devaluation of the dollar and import surcharges of August 1971, the U.S. China initiative was one of the "Nixon Shokku" that soured U.S-Japan relations for years to come. Other documents from the weeks that follow show the establishment of a new secret Sino-American channel of communications in Paris, largely supplanting the vitally important Pakistan channel of 1969-1971. Through the talks held in Paris, Kissinger and his Chinese interlocutors discussed details of the presidential visit, Kissinger's forthcoming (October) trip, as well as the developing India-Pakistan crisis over East Pakistan (Bangladesh). In addition, Kissinger kept Chinese diplomats informed of a variety of other issues, thinking that the Chinese had an appetite for tidbits of information that would "give them an additional stake in nurturing our new relationship." In the meantime, the Soviets were nurturing their own suspicions of the new Sino-American relationship; a record of Kissinger's talk with Soviet ambassador Anatoly Dobryin on 17 August shows the latter's suspicions that Washington was providing the Chinese with intelligence information on Soviet forces. Kissinger would later provide such briefings to the Chinese, but tried to dispel Dobrynin's suspicions with the assurance that he would never do anything so "amateurish." Before Kissinger made his second visit, in October 1971, Nixon had to deal with a delicate problem. Kissinger's visit would coincide with the United Nations General Assembly's annual debate over the Peoples Republic of China's membership in the UN. Ambassador George H. W. Bush, who led the U.S. delegation to the UN, diligently lobbied to preserve Taiwan's seat, but believed that Kissinger's travel schedule would undermine that purpose. The largely complete record of Kissinger's October 1971 trip covers his twenty-five hours of meetings with Zhou Enlai. (3) They discussed a number of issues, including Japanese defense policy, the future of Taiwan, the ongoing South Asian conflict over Bangladesh, the Vietnam War, and details of Nixon's trip. With respect to the latter, they pinned down the date of Nixon's visit and the size of the presidential party. These memcons (and the others in this collection) are uniquely representative of the Chinese position because they are based on the Chinese, not the United States, interpretation of the discussion; fearing leaks outside the White House, Kissinger refused to use State Department translators. One element of Kissinger's talks with Zhou was an effort to build up the perceived Soviet threat to China in order to reinforce Beijing's interest in rapprochement with Washington. For example, on 22 October Kissinger observed that Moscow was pushing for detente with the West because of its "great desire to free itself in Europe so it can concentrate on other areas," namely China. Alexander Haig, during his January 1972 visit, continued to press this theme when meeting with Zhou. Pointing to Soviet policy during the recent South Asian war, Haig argued that Moscow was trying to "encircle the PRC with unfriendly states." Restating the old policy, dating back to Secretary of State John Hay, of U.S. support for China's territorial integrity, Haig argued that Soviet policy was a danger because "the future viability of the PRC was of the greatest interest to us and a matter of our own national interest." Once Moscow had "neutralized" Beijing, he declared, it would "then turn on us." Documents on Kissinger's secret talks with the Chinese during the South Asian crisis over Bangladesh illuminate Kissinger's and Haig's perceptions of Soviet policy. Convinced that Moscow was behind New Delhi and that Indian policy aimed at destroying Pakistan, Kissinger covertly tilted U.S. policy against India and toward Pakistan, a state that was close to China and had been helpful in arranging communications with Beijing. Doggedly viewing the South Asian conflict through the lenses of superpower conflict, Kissinger believed it was imperative to side with Pakistan, for example, by secretly providing military aid and by sending naval forces to the Indian Ocean. Such actions, he further believed, would bolter rapprochement with China by demonstrating U.S. resolve to contain Soviet influence in the region. This collection closes with a Kissinger briefing paper to help Nixon prepare for his "encounter with the Chinese" by acquainting him with the "flavor of their style." While acknowledging that the PRC leadership was "fanatic" and "totally disagree[s] with us where the world is going," Kissinger's overall appraisal was positive. Mao and Zhou were "pragmatic", "firm on principle" but "flexible on details." Unlike the Soviets, they "won't constantly press you for petty gains," haggle over details, or implement an agreement grudgingly. In brief portraits of Zhou and Mao, Kissinger observed that Zhou was truly impressive, a man with whom "one can have a dialogue," who shows that he has "done his homework", and who can be "extremely -- and suddenly -- tough." Kissinger had yet to meet Mao but Zhou had "made clear that Mao was the boss," and from all accounts could "be even more impressive" than Zhou. A gal from Brooklyn sings "And This Is My Beloved"
Kismet has perhaps the most beautiful collection of tunes of any Broadway musical, thanks to adaptions from compositions by Alexander Borodin. So to say And This Is My Beloved is a show-stopper -- just about all the songs are show-stoppers. But this is the first time I've heard Doretta Morrow sing Beloved. Not only did the producers find a voice to match the beauty of Borodin's themes, they found an absolute wonder. This is the 1953 original Broadway cast recording from the musical KISMET (composed by Robert Wright and George Forrest, based on themes by Borodin), sung here by Alfred Drake, Doretta Morrow, Richard Kiley & Henry Calvin, with orchestra conducted by Louis Adrian. This particular song is adapted from String Quartet No.2 in D major (3rd movement - Nocturne) of Alexander Borodin (1833-1887). When I was growing up I was told that behind the Iron Curtain was the Seventh Ring of Hell. After the curtain fell it wasn't immediately evident that this was true because there were no cheap international airline fares or mobile phones in those days. But now I know it was true, and that the only people who are crazy enough to rejoice at this are ethnologists and employees in the budget office at the U.S. Department of State, which could greatly multiply its "desks" to deal with multitudes from places no one heard of before the Iron Curtain fell with names nobody can pronounce properly and who all want their own nation. I want the Iron Curtain raised again. Put it back. As to what's set me off this time, two articles about Turkey. I don't want to hear that Turkey wasn't behind the Iron Curtain or that Uighurs were actually behind the Bamboo Curtain. Do not cloud this discussion with facts. It's the principle of the matter that I should think is completely clear. Furthermore, I want Thierry Meyssan to know that I don't know where Tartarstan is and I don't want to know, and I want Predrag Ćeranić to know I don't care that there is a Uighur section of Raqqa or that the lunatic in charge of Turkey wants to reconstitute the Ottoman Empire. I just want the Seventh Ring of Hell back behind a curtain. From Sanjoy Majumder's report today from Delhi for BBC, Defiant India protesters stand ground in Haryana. "We are not going to move," says one of them who refuses to tell me his name. News that the government has offered concessions cuts little ice. "We don't trust them. Let's get something in writing. Let them spell it out," he says. We are on the edge of Delhi. Much of the area around us was farmland about a decade ago. Now you can see tall buildings in some places, others are under construction. "We are farmers," Sukhram Dhankar says. "But there is no land left for us to farm. It's taken over by developers. So we need government jobs." To call this a caste issue is to look at the uprising in Haryana in the narrowest terms. What's been happening in Haryana is mirrored in every region of the world where the megalopolis totalitarians are at work. Neither is it the kind of land grab, infamously known in the USA, where the government, generally at the behest of environmental interests, designates large swaths of American land as government property. The megalopolis totalitarians are very specifically political in their orchestration of land grabs for urban expansion. They are copying the Chinese Communist Party's strategy of using urban development to gain absolute control over the lives of the governed. If supporters of Indian Prime Minister Narendra Modi would argue that in no way is he a totalitarian, megalopist or otherwise -- I'm unaware that totalitarians identify themselves as such. But let's look at the big picture. > A government empties the near countryside of humans to make way for urban development. > The displaced rural peoples go into the same city. > This necessitates increased expansion of the city. > This requires displacing more humans from the countryside. > This requires more water to sustain just the city infrastructure. > This requires going farther and farther afield to transport water to the city. This is what has happened in New Delhi, as it happened in Mexico City, in Sao Paulo, in Jakarta, and Beijing and many other cities. Just as there are insane people who tear at their own flesh with their teeth, the cycle I outlined is a kind of auto-cannibalism, whereby societies consume themselves. Until fairly recently the cycle was mainly due to uncoordinated actions by many people who didn't stop to consider the cumulative effects of their actions. But ignorance and even corruption are today threadbare excuses, given that the cycle was clearly understood by governments well over a decade ago. They saw the horrors of unchecked urbanization in cities such as Beijing and Mexico City and knew rampant urban expansion had to be reined in. Even in China this was understood. Yet despite de-urbanization initiatives the Chinese rulers are knowingly engineering fresh nightmares with their idea of suburbs, which also gobble up what's left of arable land and water supplies. They're doing this because they won't relinquish their control over the governed that highly centralized population centers afford them. The refusal to give up control over vast numbers of people and the desire to increase the control now stand as the only reasons a government would continue with urban expansion policies and accompanying land grabs that are dooming societies. To argue that these aren't actually land grabs in many cases because the farmers are paid for their land -- if they're paid at all, as they were when the city of Mumbai greatly expanded, they're paid a fraction of the land value and ejected through a variety means when they protest they were forced to accept payments or didn't understand what they were signing away. If that happens to a few hundred people, the rationalizations might stand in a court of law. But when hundreds of thousands then millions are dishomed by such means justice is not served. If Narendra Modi's supporters would insist that 'totalitarian' is the wrong description for his policies -- perhaps the totalitarian mindset has so permeated Indian politics that Modi, and his predecessors in the Congress Party, don't even think of what they're doing as totalitarian and would bristle at the comparison to China's Communist Party. They can call themselves whatever they please. I'm calling them out for what they are. If I'm right, then what to do? The task is to halt galloping urban expansion and keep rural populations in place. But how best to do that in the present era? An important step for problem-solvers is learning to think outside the political paradigm, which has been carried to such extremes it's now counterproductive. It's said that in the land of the blind the one-eyed man is king. Bhumibol Adulyadej is a king, a real king, and he really is blind in one eye. Do you know how he was blinded? During his college years in the West he was speeding in a sports car, the lorry in front of him stopped suddenly, and he was lucky to survive the crash. Talk about a metaphor for the modern era. But he decided to learn from his subjects, and so after he became king he traveled to every village in Thailand. He then combined his modern and expensive education and engineer's mind with the villagers' survival wisdom passed down for thousands of years. The resulting economic philosophy he termed simply "sufficiency." It's as much a gift from the Thai people as his gift. So I would suggest finding every talk King Bhumibol and his disciples have given about the philosophy and its "new theory" application to the agriculture sector, then think and discuss about how the insights can be applied to development in today's India in both the rural and urban settings. I have given the same advice to my fellow Americans; I give it to everyone, no matter the nationality. The New Age is here but between now and its flowering as a civilization there is much difficulty for humanity. I think judicious applications of the sufficiency philosophy are the key to surviving with some grace what is to come. So YouTube deleted a SouthFront video, did it? Why do men do these things?